Currently owned by the multinational Sony Corporation, Columbia Pictures began on Hollywood's Poverty Row, an area housing small production companies that churned out low-budget westerns and B pictures. Until his death in 1959, the studio was headed by the indomitable Harry Cohn, who prided himself on producing films quickly and cheaply. In the late 1920s, Columbia began a remarkable collaboration with director Frank Capra, who would make twenty-six films for the studio, among them some of Columbia's most prestigious productions. It was Capra who directed the studio's first all-talking picture The Donavan Affair and who won the studio's first Oscar—for the comedy It Happened One Night. 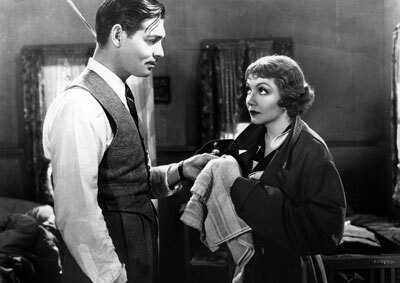 Throughout its history, Columbia produced films that reflected the social concerns of the day, beginning with Capra's 1932 interracial love story, The Bitter Tea of General Yen. Among the other films included in the UCLA Film & Television Archive's collection are Blind Alley (1932), All the King's Men (1949), The Caine Mutiny (1954), Porgy and Bess (1959), On the Waterfront (1954), The Bridge On the River Kwai (1957), All the Young Men (1960), Guess Who's Coming to Dinner? (1967), Five Easy Pieces (1970), The Last Detail (1974) and The Big Chill (1983). A number of important films have been preserved under the Archive's cooperative preservation program with Columbia Pictures.